Billions of internet users these days access the world wide web using smartphones running on iOS, Android or windows. Hence, it has become imperative that websites adapt themselves to this changing environment and make suitable changes in their design to attract more viewership. The desktop version of the website might be difficult to view on mobile devices. The version that is not mobile friendly requires the user to zoom in order to read the content. Also, contents will be misplaced. The user will find this a frustrating experience and are likely to abandon to the website. A recent google policy updates make it mandatory that a site should be mobile friendly to be effective on mobile search engines. If the website is not mobile friendly will not have any impact on regular search engine either. Mobile Search Engine Optimization is the process of designing a website that will make it suitable for viewing on mobile devices of different screen sizes. Also, all the following SEO rules which are applicable to a desktop website, additional care required while designing a website for the mobile-friendly environment. A good website has a responsive design which performs well on desktop devices as well as on mobile devices. The contents of the website are easy to read without having to zoom the screen. It has appropriate colors, fonts, and layouts that will make any website easier to access any kind of devices. A good website is lightweight such that it will take less bandwidth and time to load the website on mobile devices. Ranking of the website depends heavily on how user-friendly it is. You have to make sure that Google and other search engines understand your mobile configuration. Most important of that, Google can understand your website properly. In case your website has a responsive design, Google's algorithm automatically can understand it without you having informed by google. When you have applied the responsive design on your website make sure that the following meta tag in your header section. This viewport describes how your website will be displayed on a device. IF you have declared viewport on your website your webpage will be displayed correctly on any device. If you have Dynamically served a website, make sure you allow Google to detect your configuration using the Vary HTTP header. It is important to tell the search engine that different content will be served on computers and mobile devices. In case you maintain separate URLs, e.g, elighttechnical.com and m.elighttechnical.com, then you can inform Google by adding a special link tag in your desktop version and vice versa as follows. In order to optimize your website for mobile devices, make sure that you have to avoid common mistakes. Heavy Images: Heavier images always reduce the load time of your website contents. You should maintain the balance between text and heavy images. You can use good tools to optimize your images and save them at low resolution to avoid from the heavy download. 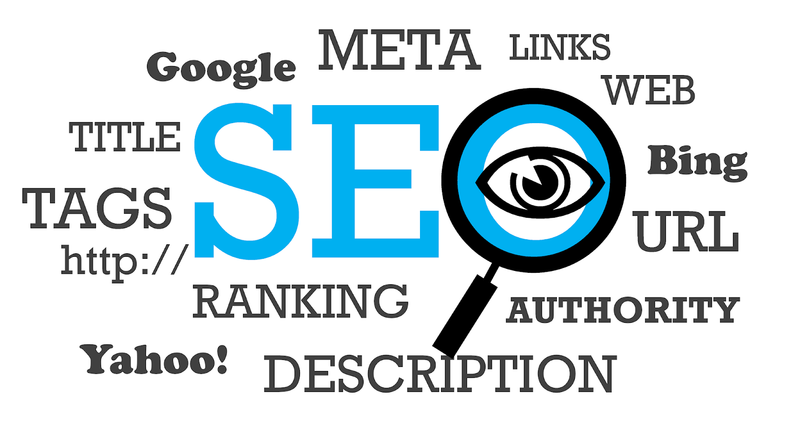 SEO is an essential online marketing process that surely helps in staying ahead of the competition. If done in the right way it could prove to be a game changer for your business. Mobile SEO is essential, and if you are not doing it, then you may lose potential clients. According to research, more than 50% of searches are now performed by mobile and tablet devices. So if your website appears in a mobile search, then chances of grabbing new clients will increase and you can quickly take your business to the next level. I admire your work, this guide about mobile SEO is adequate to place your website in mobile searches. I recommend this blog to all those who are looking for how to optimize your website for Mobile SEO.